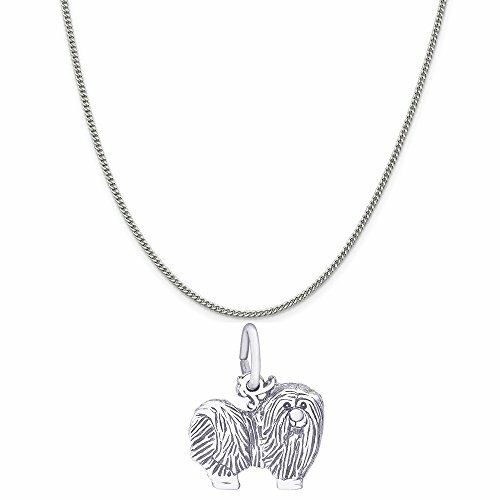 Rembrandt Charms 14K White Gold Maltese Charm. This charm comes on a high quality 16, 18 or 20 inch box, rope or curb style chain depending on the version selected. It can also be purchased as a single charm without a chain to be worn on a charm bracelet, anklet or earrings. Rembrandt Charms are timeless collectibles that capture memories, events, special occasions or emotions. Each charm tells a story. Rembrandt Charms has been designing and handcrafting charms in the United States for over 45 years. Rembrandt Charms 14K Yellow Gold Polar Bear On Ice Charm on a Curb Chain Necklace, 18"